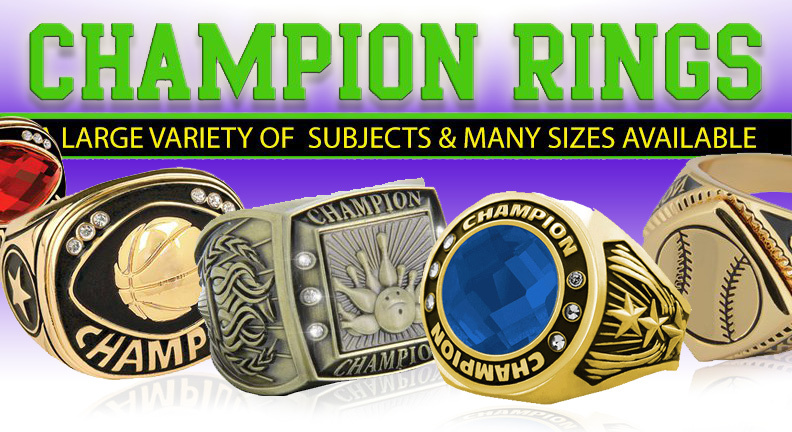 Champion Rings are Available Online at Trophy Depot in a Large Variety of Subjects and Many Sizes Available. Available in Many Sizes - Wear Your New Custom Championship Ring with Pride! Use our helpful Ring Size Chart to make sure you are ordering the correct size. Custom Full Color Championship Rings.